Data privacy and security are at the top of some open source fans' lists for running Linux-based platforms. That's no surprise: Generally speaking, operating systems such as Ubuntu or Fedora are more secure than the proprietary alternatives. But the truly privacy-minded turn to Tails OS, the Debian-based platform made famous by Edward Snowden, which issued its newest release this week. 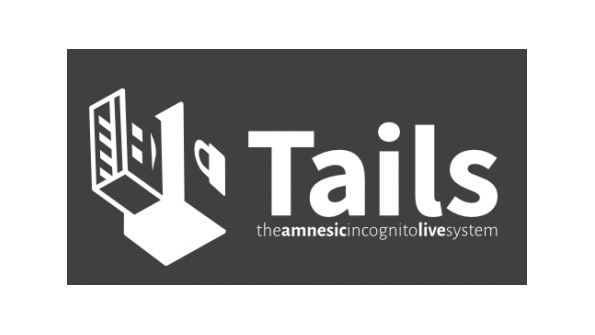 Otherwise known as The Amnesic Incognito Live System, Tails is a GNU/Linux distribution that focuses explicitly on security and privacy. It runs in "live" mode, meaning users boot it from a DVD or USB stick, and leaves no permanent mark on the computer on which it runs unless users choose to save information. Tails also features a range of built-in security and privacy tools. Chief among them are Tor, an application that hides a user's IP address and location, as well as a version of Mozilla Firefox that is preconfigured with privacy extensions including HTTPS Everywhere. Data encryption tools, including GNU Privacy Guard, are also available. The first version of Tails appeared in 2009 as a derivative of the Gentoo Linux distribution. It has switched to Debian for its code base since that time. The operating system became widely known in open source and privacy circles in 2014, when journalists who worked with Edward Snowden, the U.S. government contractor who revealed information about NSA electronic surveillance programs, reported that Tails helped to facilitate their conversations with the whistleblower. Tails's image grew even greater in late 2014, when the German newspaper Der Spiegel reported that the NSA in June 2012—well before the Snowden leaks occurred—had identified Tails as a "major threat" to its operations that could place "catastrophic" limitations on the agency's ability to monitor individuals' online activities. On Sept. 22, Tails developers announced the newest release of the OS, version 1.6. Apart from upgrades of a couple of applications to newer versions, Tails 1.6 mostly focuses on fixing security vulnerabilities that affected various packages in earlier versions of the platform. That a privacy and security-focused Linux distribution centered a new release around security fixes and urged users to "upgrade as soon as possible" is a little ironic, of course. But since the security vulnerabilities in question were upstream issues, rather than ones created by the Tails developers themselves, it's hard to be too critical on this point. Actually, in some ways, it's a sign of just how seriously Tails takes security that the project issued a whole new release largely in response to security problems. Most other Linux distributions simply update packages in a situation such as this without producing a new version. At any rate, Tails is a testament to the open source ecosystem's ability to provide rigorous privacy and security protections. And in an era when big-name privacy breaches have become a routine part of the headlines, a project such as Tails could go far. Your first relay before connecting to any proxy / VPN or TOR relay is your ISP …and most Internet Service Providers have a black box collecting data that is shared with Government Agencies. Your communications will pass through several relays before reaching a TOR relay and your RAW data is saved. Anominity on the net is a myth, you can limit your exposure but you will never get anonymity. TOR relays are servers that anyone can volunteer around the globe, I strongly suspect Security Services, who is to say Securty Services, have not faked an identity, location and offered a server up for relay ? The USA Government is also the biggest financial backer to the TOR network …think about it. Has for Snowden ..the controlled release of information through an agent. He is not telling you anything ‘they’ do not want you to know, its controlled information. Providing a new release is not unusual for TAILS, neither are security updates for included packages. Since TAILS is only run as a LiveCD updates to packages like any installed system is not possible. It is not ironic to offer a security update but is normal for TAILS and less common with other systems. I suggest that you familiarize yourself with their product and mission before writing a story.